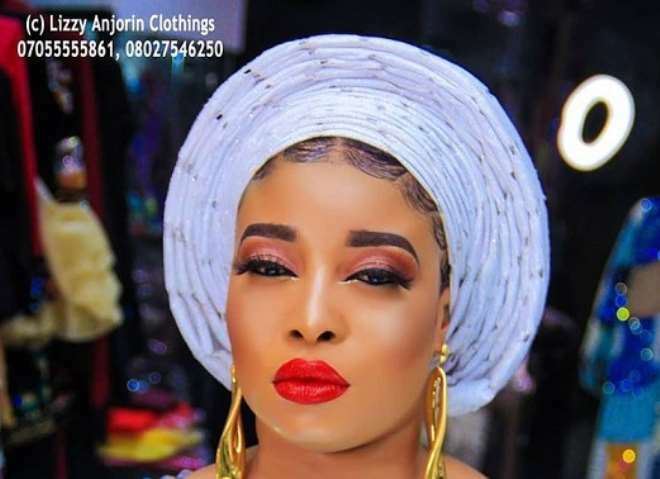 Nollywood actress, Lizzy Anjorin, may have been off from acting for a while focusing more on her fashion line does not mean that she is no longer an actress. The actress has been doing well in her new found venture which has attracted lots of people to her and today she can boldly say she has done well for herself and still counting. “I Remain The Most Standard Nigerian Hardworking Actress With Lots Success Stories. I Am The Definition Of Strong Woman. I Am The Definition Of The Grace Of Allah. I Am Loved By Positive People Only. I Am A Barrier Breaker, A Shaker And A Goal Getter. If I Can Shuttle Between Acting And Business And Back To Acting, I Remain A Deadly Threat To People That Don't Believe In Kids Of Nobody. I Am A Pencil In The Hand Of The Creator And He Has Chosen Me To Put A Smile And Huge Laughter To Your Cheeks,” she wrote.